While still in the throes of young love, a couple pledge to return to the site of their first meeting ever year in order to reenact word-for-word their faithful encounter. What begins as an exercise to celebrate their love shifts into a daunting task that cannot keep up with the many obstacles that life, marriage, and family attract. How do we love? Or rather, how don’t we love? Marc Prescott’s text is unapologetically tender, sending us straight to the heart of great love: from fluttering hearts, to subtle betrayals, to the uncertainty of sudden loneliness. 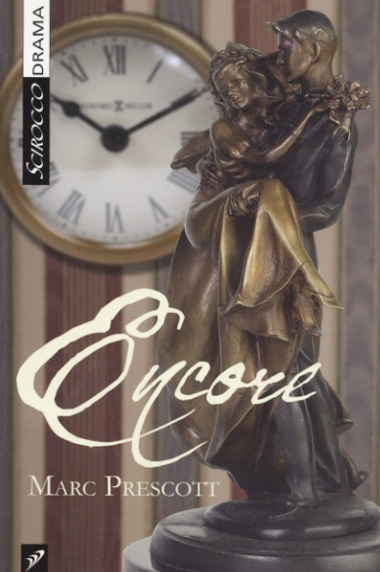 Encore blends comedy, poetry and insight in a manner that is a far cry from the cynicism of our time. It dares to speak of true feelings, the ones that shake us to our core. Please note that we welcome interested multilingual actors (specifically French and English) from all backgrounds, shapes and sizes to submit. Actors with a background in movement are highly encouraged to submit. Only those selected will be contacted for an audition. Those selected for an audition will be given sides to prepare and partnered with another actor.